Vaccines have been a hot topic among parents, pediatrician and in the media for many years. Recently, there have been many news stories about pediatricians who will not care for families who either choose not to vaccinate their children or who do not follow the recommended schedule. These policies are based on knowledge about the safety of vaccines, the effectiveness of the recommended schedule and concern about the spread of a vaccine-preventable disease in the community. No pediatrician wants to see a child suffer from a condition that could have been prevented, and we certainly do not want those illnesses to be spread in our offices. My practice is in Marin County, California – an area that is known for high rates of vaccine delay and vaccine refusal . After much thought and careful consideration, my partners and I recently decided to change our policy related to immunizations. Starting this spring, we will require that all patients age 2 and older be immunized with the Measles, Mumps, Rubella (MMR) vaccine in order to remain patients of our practice. 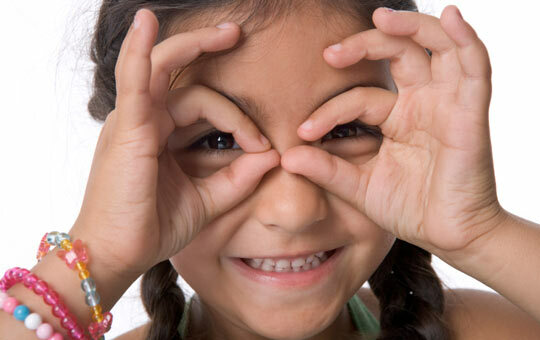 We have a responsibility to protect the health of all of the children in our practice, and decrease the risk of vaccine-preventable diseases in our community. We have chosen to require the MMR vaccine because we are extremely concerned about the possibility of a Measles outbreak in our community. Vaccine preventable diseases are still a threat to the health of our children and our community. In 2010, the Pertussis (Whooping Cough) epidemic in California affected children in Marin County at eight times the rate seen in California overall, in part because of low immunization rates. There was recently a case of Mumps in a school-aged child in our county, and last year there was an outbreak of Mumps in a dormitory at the University of California at Berkeley. There have been Measles cases and outbreaks associated with the 2012 Super Bowl, and in recent years in San Diego, Quebec, Indiana and Minnesota. In 2011, there were 222 reported cases of Measles in the US, the highest rate in 15 years. Ninety percent of these cases were associated with air travel, but not all cases were in travelers. Measles has become much more common in Western Europe, Africa, Asia and the United Kingdom due to dropping vaccination rates. The CDC is already warning us that with the Summer Olympics in London and the Eurocup Soccer Championship in the Ukraine, the possibility of a US traveler to these countries coming back with Measles is high. 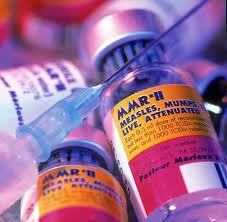 Because of this, we are concerned that Marin County is at risk for a Measles outbreak. Because Measles is so easy to spread, in order for a community to be protected from an outbreak, 95% of the population must be immunized. Right now, the number of Kindergartners in our county who are up to date on all of their vaccines is 83%, and there are schools and communities in Marin County where less than 50% of Kindergarten students have had all of their required vaccines. Certain areas in our community are clearly at risk of a Measles epidemic. In our practice, we have many children who are too young to receive the MMR vaccine as well as many children who have chronic illnesses that compromise their immune system and put them at risk. This policy is meant to protect not only these children, but also our entire community from a Measles outbreak. We respect that the parents in our practice have the ultimate responsibility for making decisions about their children’s health care, but we have to weigh their personal decisions against the available data and the needs of our community. In our practice, we feel strongly that communicating and collaborating with our patients and their families is the best way to provide excellent care. We also feel strongly that vaccines save lives and that this policy protects our patients and our community from a preventable disease and all of its repercussions. Pertussis is an infectious disease caused by bacteria. Sometimes referred to as the hundred day cough, it can be quite debilitating. The cough is persistent and recurs day in and day out. Once you hear this cough, you will never forget it. The cough is repetitive, easily lasting 30 seconds or more and has a whoop sound at the end of it. This whoop is what gives rise to its popular name whooping cough. If you are curious, you can hear the whoop sound on the internet. Many people do-all ages and from all walks of life including: young children, teenagers, adults in middle age and senior citizens. Yes it is. I have seen Pertussis several times in my practice this year. I have seen it spread from mother to child, among siblings and even from teacher to students. There are different phases of Pertussis. When the diagnosis is made during the first phase of the illness, it can be treated with antibiotics. This may shorten the duration of the disease. Otherwise physicians can offer supportive care and medication to help the patient sleep. Pertussis is preventable by a vaccine. This vaccine, DPT (Diptheria, Pertussis and Tetanus) is typically given during childhood. The vaccine is given as a series of three injections in the first year of life, a booster during the second year of life and another booster before the start of elementary school. An additional booster is given at 11 year of age. Because this last vaccine is relatively new, many children older than 11 year of age will be receiving it. Additionally the Tetanus booster which has always been recommended to be given every ten years has been change to include the Pertussis vaccine. Therefore, adults of almost all ages are urged to obtain it even if you received a Tetanus booster a year ago. Many hospitals across the country are giving the vaccine to new mothers right after delivery and in some progressive hospitals the vaccine is being offered to new dads and to grandparents. With this approach the State of California, which had seen deaths from Pertussis in the last few years, has dramatically decreased their rate of Pertussis. These dramatic results have persuaded many pediatricians to offer this vaccine to parents and grandparents of their patients. Why talk about Pertussis now? Pertussis is on the rise in the United States. From January through March in 2012 there were seven times the number of cases seen in Washington, D.C. than in the same time frame the year before in 2011. So why you might wonder: why this rise in Pertussis now? Several years ago we experienced a number of parents refusing to have their children vaccinated against childhood diseases including Pertussis. These refusals were based on fears of the vaccines and components of the vaccines such as aluminum or mercury. Thankfully, these fears have been proven to have been unfounded. Unfortunately, once people stopped vaccinating their children, herd immunity was lost. Herd immunity is gained when a majority of people in a geographic area receive a vaccine. These vaccines then protect even the few who were not vaccinated. As the number of vaccine refusers climbed, we lost herd immunity. Hopefully today with increased knowledge through education, the number of vaccine refusers is beginning to decline and more people are again protected against infectious diseases such as Pertussis. Scientists are working tirelessly looking for clues to currently unanswerable medical questions. Every day they race the clock in an effort to look for a treatment for currently untreatable medical conditions and diseases. Pertussis is not one of them. Pertussis is preventable with a vaccine It is criminal that there are people living in the United States in 2012 suffering from a disease they did not have to have. Please don’t be one of them. Ensure that you and your loved ones do not get Pertussis. Get vaccinated! Get vaccinated now! 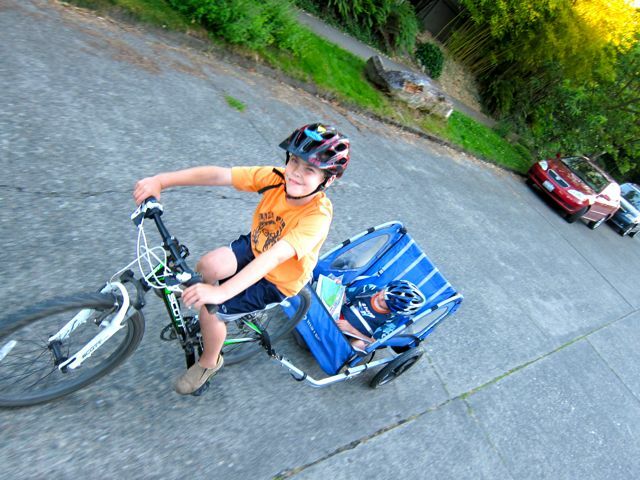 How Do You Select The Right Bike Trailer For Your Child? David has zero interest in riding a bike, hates the heat, and only wears a helmet with lots of cajoling, but he’ll listen to that Queen anthem for an hour straight if we let him. The fact that he knows EVERY word without understanding the song only adds to the irony. He used to ride a bike with training wheels indoors with his occupational therapist, but it was never an activity he approached with any sort of enthusiasm. In fact, he looked quite joyless and a little frustrated. Compare that to music and dancing, and it makes me wonder if I should force him to learn. I’d love it if our family could bike together. If we could talk, laugh, share the sites and maybe a slurpee at the end of the ride. But that’s fantasy, not my family, not my reality. Instead my husband takes the girls biking while I hang out with David. Honestly, it’s safer that way. Pee Wee Herman looks like a triathlete compared to me. Seriously, please consider your own skill and comfort level in riding before you make your child a passenger. And I don’t care if you cycle like Lance Armstrong, the AAP recommends slower speeds, bike paths, and quiet streets when kids are on board. Consumer Reports and the AAP recommend trailers instead of mounted seats for safety. One study (about 10 years old) in the Archive of Pediatrics and Adolescent Medicine found that children in trailers were less likely to be injured than those on mounted seats. Mounted seats are higher off the ground than the trailer, so children have farther to fall in an accident. Mounted seats can make steering and balance more difficult and thus accidents more likely. However trailers proximity to the ground make them less visible to drivers and more likely to stick out into the road. Children less than one year of age should NEVER be passengers on a bike. They have big heads relative to neck strength and body mass. Don’t do it. Even the best helmet won’t make up for the weak neck muscles. Kids need good helmets that fit correctly (video link). With all those safety tips, enjoy the ride. I’m staying home. If typical children or adults can choose their leisure activities, why can’t David? He’s not concerned with popular conventional play or the world’s bigger troubles (“Don’t wanna be a candidate for Vietnam or Watergate”), he just wants to listen to his favorite music and dance with me. I’m a better dancer than biker anyway. Maybe it’s genetic?